Oculus has this week announced the company will be installing Oculus Rift demonstrations in 48 Best Buy stores throughout the US, making the new VR technology available for those interested inputting the Rift headset through its paces. 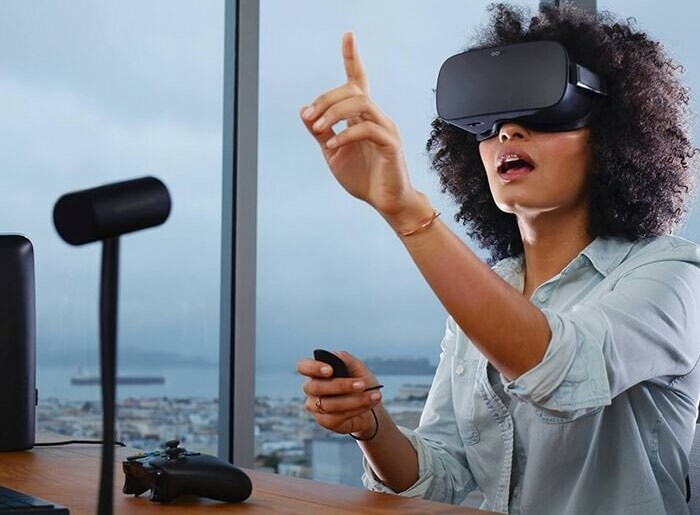 As you can imagine due to the demand for a Rift demonstration, Oculus has set-up a dedicated webpage where you can view the nearest Best Buy to your location and also book a slot making sure you can get hands-on time. The Best Buy Oculus Rift demonstrations will be available to use from May 7th onwards and will enable you to immerse yourself in a number of virtual reality games and applications including Crytek’s The Climb, vignettes from Dreamdeck, and Farlands. To whet your appetite check out the official Oculus Rift trailer below to learn more about the games that will soon be available to play on the Oculus Rift platform. To book in your slot for an Oculus Rift demonstration followed the link to the official Oculus website via the link below. Appointments can be booked in up to a month in advance, but don’t delay as demand is sure to be high.